You have lived with painful feelings for long enough and well done for looking for support for yourself. It is often a very big step, but a necessary one for you to start healing, living wholeheartedly and having fulfilling relationships. You may be struggling with a sense of disconnection from yourself and the world, and feel isolated even if you have people around you. Perhaps you feel that there is something wrong with you. You may be wondering how could Mari help you, what does she offer that is different from what you have tried so far? 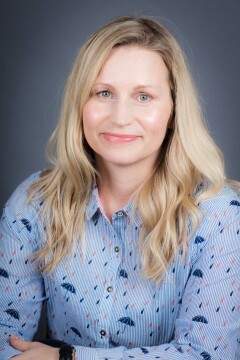 Having both personally and professionally experienced the power of psychological therapy; how it can help to overcome emotional difficulties, nurture the inner child, build a holistic view of ourselves as adults, abolish that excessive worry that may be keeping you stuck and stop you from reaching out to your dreams, my aim is to offer a collaborative, compassionate and nurturing environment for you, where you can start to become curious about your own uniqueness, start working on reducing your emotional pain and heal internal wounds. Our wounds are often shame-based and toxic shame can make us feel small. In a confidential & non-judgmental space together we explore what stops you from thriving. I believe that the most important relationship we have is with ourselves: self-compassion and self-love can change our worlds, and help us to achieve in life what we want (have meaningful relationships, ability to manage anxiety, feel joy in life, accept ourselves as a combination of mind & body, stop self-medicating with external matters etc.). However, self-love and self-compassion can be so difficult to practice when you have experienced difficult life experiences and/or perhaps feel that there has been little compassion in your life. I want to bring you hope and support you in becoming your own best friend and finding acceptance of yourself. When you are ready and want to start building a better relationship with yourself, get in touch! I would love to hear from You! What am I about and how can I support you in getting the life you want to have? You probably want to know a little bit about my professional background. My experience in mental health and other psychological services extends to over 15 years: NHS primary and secondary care, charitable and private sector organisations. I have worked with a wide range of difficulties varying from emotional difficulties (bereavement, relationships and family issues, identity confusion) to common mental health problems (e.g. anxiety and depression) and more complex enduring mental health problems, such as dual diagnosis, childhood related PTSD, personality disorders, eating disorders and addictions. My desire to want to offer people an opportunity to have tailor-made therapy that is based on individual needs and for as long as the individual needs it led me to set up a private practice. Understanding how our early relationships shape our later relationships and how trauma / emotional neglect impact individuals both emotionally & from a physiological point of view are my specialist interests and spend a lot of my time reading on the latest developments in treatment. The therapy I offer focuses our relationship and incorporates neuroscience, physiology, object relations (relationships) and compassion focused therapy. What that means is that we become curious about your experiences both in past and present time. We examine what it feels like both emotionally and physically for you to be in the presence of another person. The reason why this is so important is that a lot of our internal distress is demonstrated when we are in the presence of another person or separated from another, and when we examine and make connections of our experience in a non-judgmental & confidential environment with another non-shaming person, old wounds can start to heal. As someone said that “we get hurt in a relationship and we heal in a relationship”. The purpose of all of this is to support you to get in a place where you have abolished excessive worry, you are able to consider your own needs and not feel so guilty about having them, the cloud of low mood has lifted, you are able to experience deep joy when engaging in activities and experience deep, fulfilling connections with others. My work is heavily regulated and guided by ethical guidelines, but this does not make it robotic, in fact, the regulations provide safety and I’m able to connect with you on a human to human level. 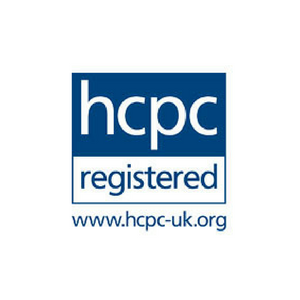 My official title is a chartered counselling psychologist and I’m registered with the British Psychological Society, Health and Care Professionals Council and the British Association of Counsellors and Psychotherapists. I earned my Doctorate in Counselling Psychology from City University, London. 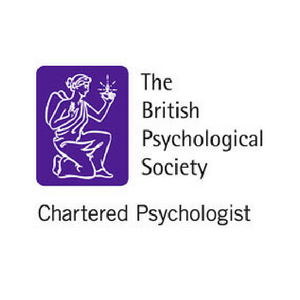 Prior to that, I completed an MSc in Occupational Psychology at London Guildhall University and a BSc (Hons) in Psychology at City University, London. I adhere to the BPS code of conduct and ethics and the HCPC code of conduct. I am also committed to continuous professional development. I love learning about brain science and understanding how our mind & body work, how we can heal our emotional wounds and supporting people in being able to live authentic lives and being true to themselves without excessive worry stopping their dreams coming true. Take a look at my specialty pages: Individual therapy to address the sense of loneliness and disconnection within you or in your relationships, Anxiety, Childhood Trauma, Depression, Relationship issues or get in touch. Start your healing journey now!